Originally published in Creation 20, no 3 (June 1998): 42-44. Hawking concedes that the important question of why the universe exists cannot be answered by means of equations and theories. Nevertheless, he concludes his book by limiting himself to the equations, instead of looking for their Author. Like so many other astronomers and physicists, Hawking tries to explain the universe without acknowledging its Creator. But Isaac Newton (1642-1727), possibly the greatest physicist of all time, and a predecessor of Hawking in the same chair at Cambridge University, firmly believed that the solar system was created by God. The idea that the solar system emerged from a swirl of matter began with Immanuel Kant (1724-1804). Many present-day cosmologists describe the cosmos in terms of evolutionary development and most of them accept the so-called big bang theory. 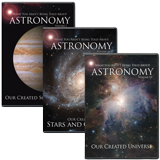 According to this theory, the universe began about 10 to 20 thousand million [10-20 billion-Ed.] years ago as an inconceivably small volume of space (or a single point of vast energy) which has been expanding ever since. The most important observation supporting the concept of an expanding universe is the 'red shift' of light from distant stars. This inferred expansion cannot be observed directly, but light coming from distant galaxies seems to have longer wavelengths (i.e. gets 'redder') as the distance increases. This is attributed to either the Doppler effect (that the wavelengths of light are 'stretched out' when galaxies move away from one another) or the relativistic stretching of the space between the stars as the universe expands. The big bang theory suggests that the cosmos was originally compressed into a hot and dense 'cosmic egg,' and as the universe aged, it expanded. Many discoveries made in recent years with improved instruments and improved observational methods have repeatedly shaken this theory. Space does not permit a full discussion of the evidence for and against the big bang. However, many discoveries made in recent years with improved instruments and improved observational methods have repeatedly shaken this theory.5 Interpretations of the available facts in terms of currently held cosmological models very quickly lead to unresolvable inconsistencies. There is an increasing number of astronomers who raise substantial arguments against the theory. If the universe came from a big bang, then matter should be evenly distributed. However, the universe contains an extremely uneven distribution of mass. This means that matter is concentrated into zones and planes around relatively empty regions. Two astronomers, Geller and Huchra, embarked on a measuring program expecting to find evidence to support the big bang model. By compiling large star maps, they hoped to demonstrate that matter is uniformly distributed throughout the cosmos (when a large enough scale is considered). The more progress they made with their cartographic overview of space, the clearer it became that distant galaxies are clustered like cosmic continents beyond nearly empty reaches of space. The big bang model was strongly shaken by this discovery. It should be added that the visible galaxies do not contain enough mass to explain the existence and distribution of these structures. But the big bang model was not discarded. Instead, the existence of a mysterious, unknown, and unseen form of matter ('dark matter') was postulated. Without any direct evidence for its existence, this 'dark matter' is supposed to be 10 times the amount of visibly observed mass. Another critic of the big bang theory, Halton C. Arp, was attached to the world-famous Mount Wilson Observatory near Pasadena, USA, and to the Las Campanas Observatories in California. He explains the reasons for rejecting the big bang model in a notable article, 'Der kontinuierlicher Kosmos' (The continuous cosmos). In other words, even the idea that the universe is expanding is under attack by some astronomers. Arp continues his criticism of the big bang theory and calls for it to be rejected by the scientific community. Professor Hans Jörg Fahr of the Institute for Astrophysics at Bonn University, Germany, writes of the demise of the big bang theory in his book, Der Urknall kommt zu Fall (The Demise of the Big Bang). Dr James Trefil, professor of physics at Mason University, Virginia, accepts the big bang model, but he concedes that a state of emergency exists regarding fundamental aspects of explaining why the universe exists. It is a great pity that many Christians are willing to 're-interpret' the infallible Word of God to fit a fallible, man-made theory like the big bang. 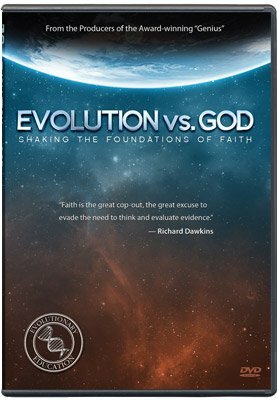 Such ideas are ultimately devised to counter the biblical record, which is firmly against cosmic evolution over billions of years. Those who urge trying to harmonize the big bang with Scripture find it only natural to go on to other evolutionary ideas, such as a 'primitive earth' gradually cooling down, death, and struggle millions of years before the Fall, and so on. This article was adapted from Dr Gitt's book Stars and their Purpose: Signposts in Space. Evolutionists generally believe that stars formed by the collapse of gas clouds under gravity. This is supposed to generate the millions of degrees required for nuclear fusion. But most clouds would be so hot that outward pressure would prevent collapse. Evolutionists must find a way for the cloud to cool down. One such mechanism might be through molecules in the cloud colliding and radiating enough of the heat away. But according to theory, the 'big bang' made mainly hydrogen, with a little helium—the other elements supposedly formed inside stars. Helium can't form molecules at all, so the only molecule that could be formed would be molecular hydrogen (H2). Even this is easily destroyed by ultraviolet light, and usually needs dust grains to form—and dust grains require heavier elements. So the only coolant left is atomic hydrogen, and this would leave gas clouds over a hundred times too hot to collapse. Marcus Chown, 'Let there be light', New Scientist 157(2120):26-30, 7 February 1998. S.W. Hawking, A Brief History of Time—From the Big Bang to Black Holes, Bantam Books, New York, U.S.A., p. 13, 1998. H.J. Fahr, Der Urknall kommt zu Fall Kosmologie im Umbruc—Franckh-Kosmos Verlag, Stuttgart, Germany, 327 pages, 1992. E.P. Fischer (Ed. ), Neue Horizonte 92/93—Ein Forum der Naturwissenschaften—Piper-Verlag, München, Germany, pp. 112–173, 1993. J. Trefil, The Dark Side of the Universe. Charles Scribner’s Sons, Macmillan Publishing Company, New York, USA, p. 3 and p. 55, 1988. See also R. Grigg, The mind of God and the big bang, Creation15(4):38–43, 1993. See also A. Snelling, Galaxy-Quasar ‘Connection’ Defies Explanation, CEN Technical Journal 11(3):254–5, 1994.